The parade of modern American-made tractors was organized by RFD-TV. 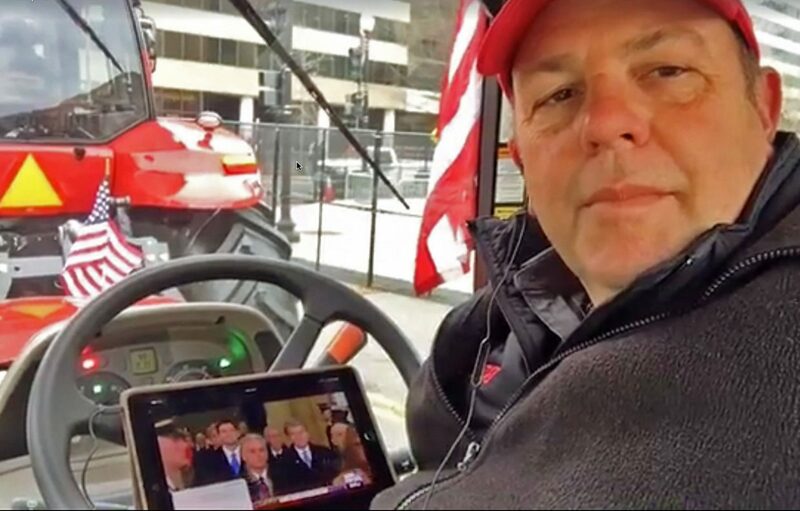 Tractors pass the Trump family watching the Inaugural Parade from the reviewing stand set up on Pennsylvania Avenue in front of the White House. 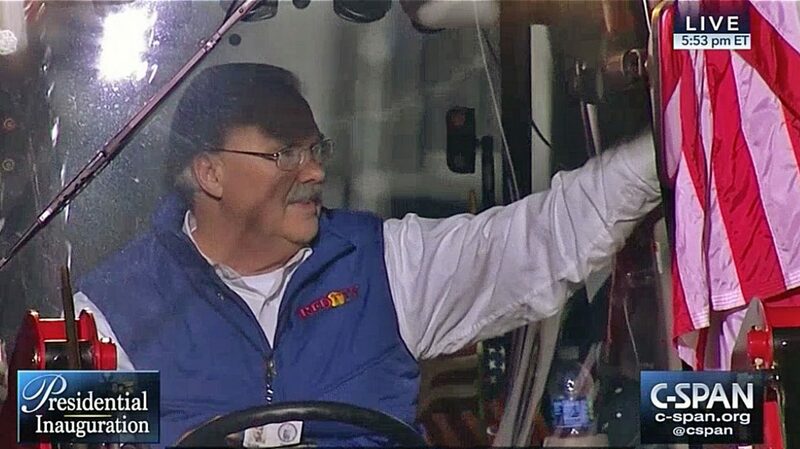 American Farm Bureau Federation President Zippy Duvall livestreamed a video before he drove a tractor in the parade. Members of the national FFA carry the banner announcing the Rural Tractor Brigade. 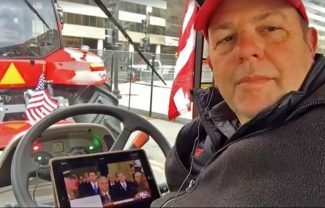 The Rural Tractor Brigade organized by RFD-TV was the most visible representation of American agriculture in President Donald Trump's Inaugural Parade, and both Trump and Vice President Mike Pence gave the brigade signs of their appreciation. 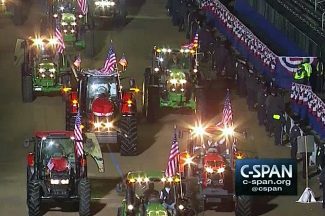 The parade announcer introduced the brigade by saying "The heartland of America is represented in this year's inaugural parade by a combination of modern American-made tractors driven by leaders from the farm and ranch community." Noting that members of the national FFA, "the world's premiere youth organization," led the group, the announcer said. The tractors "help make America's farmers and ranchers the most efficient food and fiber producers in the world." 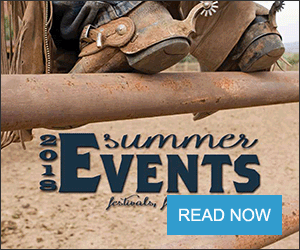 According to the RFD-TV website, several farm group leaders drove tractors in the parade, including: Zippy Duvall, president of the American Farm Bureau Federation, who live-streamed a Facebook video from the event; Ron Moore, president of the American Soybean Association; Randy Krotz, CEO of the U.S. 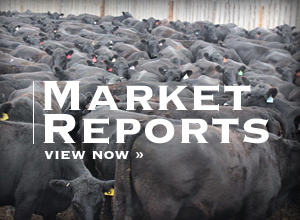 Farmers & Ranchers Alliance; John Weber, president of the National Pork Producers Council; and Jim Odle, co-founder of Superior Livestock Auction. Also driving to represent rural media were National Association of Farm Broadcasting past and current presidents Mark Oppold and Max Armstrong, Duncan Smith of Sinclair Broadcasting, and Patrick Gottsch, founder and president of RFD-TV and RURAL RADIO on SiriusXM.